"Llegaste tú" by Sofia Reyes seems the most appropriate song for my move. Each time I start a new "tour" in Mexico, I enjoy sharing pictures and videos of the place I’ve rented for that year. With every passing summer, I’ve inched a little further south on Mazatlán’s malecón, ending up this year in a flat in the area of Olas Altas (Tall Waves). The most well-known of Mazátlan’s surf spots. If you sightseeing on a boat off Olas Altas looking toward land, you would be facing El Centro, the city’s historic district. You have both the best surf and the most intriguing part of the city at your feet by living near Olas Altas. All colonial towns in Mexico have an El Centro, or commercial center. The historic districts are the most desired places to live among expats. Full of music, colorful plazuelas, galleries and restaurants, expats feel they can better breathe in the culture in these traditional commercial districts. What makes El Centro in Mazatlán distinct from others is the Angela Peralta Opera House, which serves a wide selection of play, ballet, concerts, exhibits and of course, opera. Once I heard graduating opera singers take their exams of 80 people in one of its adjacent galleries. Living in El Centro this year is particularly exciting because of the millions of dollars recently invested upgrading the area. The city has planted uplit palm trees in the sidewalks throughout El Centro and the malacón. The results are dramatic. They widened a large section of the strand and cut traffic from buses to better accommodate the throngs of couples and families who promenade along it every night eating raspados (a type of snow cone they top with all kinds of craziness) and buying baubles from table vendors. Several new restaurants have opened on the malecon's beach side, like Muchachos, which usually has a line out the door. My place is one of five privately-owned flats in the small two-level complex at the top of a short hill. As frequently happens because I stay during shoulder months and offseason, I am here, giving me complete privacy. I also love its location at top of a short hill (Uber drivers are less enthusiastic). The street dead ends on the Malecon. From my patio, I can watch people strolling it and hear bits of occasional music. After four years doing this reverse schedule, I can’t imagine scheduling it any other way. The city isn’t full of expats, I can negotiate good deals on rent (This place costs $975 U.S. a month). Owners are more relaxed about deposits, and not as insistent on paying rent months in advance. Emptied fo tourists, the months spent are more authentically Mexican and I wouldn’t have it any other way. This place is the coziest of any I’ve ever rented. Decorated in peach tone furniture, with brightly painted and decorate walls, it scores the highest with my Mexican friends. They especially adore the pool (I’ve never met a Mexican yet who didn’t love a private pool). Most people are visual. When Helen Keller was asked which she missed most, she said hearing. I agree. If I had to choose between a world cruise and giving up music, I’d choose music hands down. What I’ll always remember most about this apartment will be its constant gentle cacophony of sounds. About an hour before dawn, I hear the birds shaking themselves awake. A multitude of doves begins their cooing. By dawn, it’s a concert. I've always been a fan of good lighting. In the afternoon, an occasion truck with loudspeakers announces a sale. Once in a while, I hear someone speaking on the street below my windows, which carries the music of Spanish up to a point as to almost being part of the conversation. As the day moves forward into the night, I start hearing geikos click their territorial or amorous intentions, and an occasion reggaeton beat from the oregas on the Malecn. All of these sounds set themselves against the more powerful voice of the Pacific ocean that lies at the foot of the street. Strangely, I knew none of these qualities when I chose it. I chose it because I needed an oven to test recipes for a cookbook I’m writing with Mexican food blogger Fabiola Rodriguez Licona. Ironically, the oven turned out to be flat’s only freaky feature. I’d like to say it’s from the 50’s, but I’m not sure it’s that advanced. It’s a stainless steel box on top of a gas flame coil. Its settings are 1-2-3-4-5. You can hear the the oven fire-breathing, as if alive, when you open the door. Such ovens are very common in Mexico. I'm learning that’s why Mexican cuisine does not feature a great deal of food prepared in ovens. Have a question about food in Mexico or a favorite recipe you’d like me to test or modify here? Send me an email! Related: From mobile homes to casitas, you have many choices of lifestyle in Mexico. Most recent: If you think you have to speak fluent Spanish to get anything out of a poetry reading in Mexico, you'd be wrong. Next up: I come to Mexico to be away from politics, but I have heard the opinions of others here of the most recent presidential election. 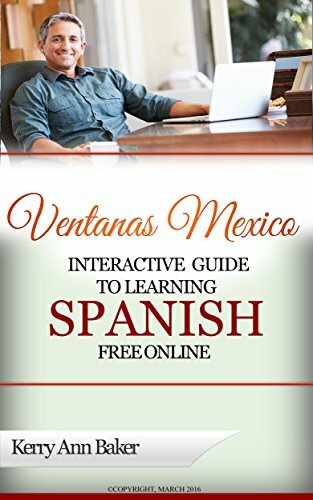 Kerry Baker is the author of "The Interactive Guide to Learning Spanish Free Online," an interactive book that takes you to all the best free language tools on the web, organized into lesson plans. By using a lot of different tools, you can keep language learning interesting. Boredom is the number 1 killer of desire to learn a second language. This book enables you to create new lesson plans every day. 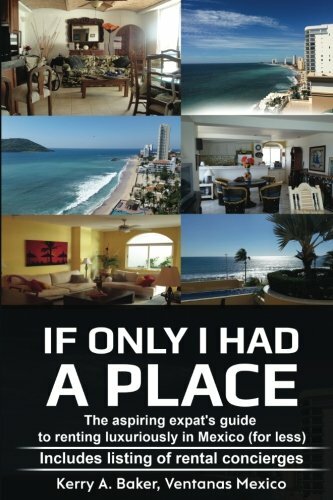 Her second book is "If Only I Had a Place," a guide to renting well in Mexico. Renting in Mexico is different. Avoid the pitfalls and take advantage of the special opportunities you have as an expat renting in Mexico. Get the most luxurious places for less year after year. Will Obrador Even Live Long Enough to Govern?